The sport of high school basketball has undergone a multitude of changes since the early 1920’s. It is difficult to compare player from one era with those of another. The best way of evaluating a player’s performance is to compare them with others of the same era. The player who was the most dominant for his time in Wayne County League history was Harold Hoffman of Fredericksburg High School in the period of 1935 to 1939. Harold became a starter for the Freddie varsity as a freshman and for four years he rewrote the Wayne County League record books in career scoring. Rebound records were not kept at the time; however he was regarded as one of the top rebounders in the county. He also jumped center at a time when the jump ball was held after each basket. He was also considered the best defensive player of the time, all of this being quite a feat for a player who was all of 5 foot 10 inches in height. Hoffman’s value to the Freddies was apparent as they won 65 or 75 games, during his tenure at the school. They won three consecutive Wayne County League basketball championships from 1937 to 1939, losing only one league game in those three seasons. Harold was selected to the league All-Star team for four years with the last two selections being unanimous. Most of the games were won handily, but last second heroics produced several other victories for the Fredericksburg team. The highlight of his career took place in the County Championship game in 1939. The Freddies had won 16 straight games, but injuries and the flu had reduced the team to Hoffman and one other starter along with inexperienced reserves. Hoffman went on to play what the newspaper stated was the greatest individual effort ever seen as he paced Fredericksburg with 17 points in a 22-21 triumph for the title. Soon after graduation, Hoffman was called to serve Uncle Sam and spent 3 ½ years in the Army Air Corps with time in North Africa and Germany. Hoffman later played independent basketball (Rittman Boxboard and Fredericksburg Art Pottery). 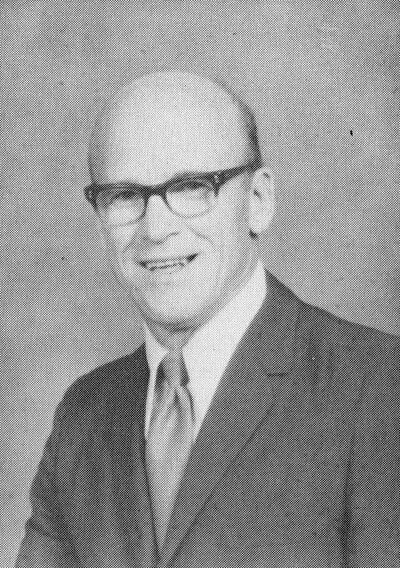 His coach on the Fredericksburg team was his former high school coach, Thornton (Jock) McCay. He also played on numerous local baseball and softball teams. For many years, he was part of the grounds crew which helped hold together many of the Orr Park Softball Team’s Memorial Day and Labor Day Tournaments. Over fifty years have passed since Hoffman’s playing days, but many still regard him as one of the bet to ever play in the Wayne County League. This degree of excellence has been rewarded with his selection to the Wayne County sports Hall of Fame.